MADISON R. HOLLER IS THE ARTIST, OWNER AND DESIGNER OF RUBINSKI WORKS, LOCATED IN CENTRAL MINNESOTA. SHE SPECIALIZES IN PEYOTE BEADWORK AND ONE-OF-A-KIND JEWELRY. PRIMARILY, WORKS ARE CREATED WITH GLASS AND METAL SEED BEADS. 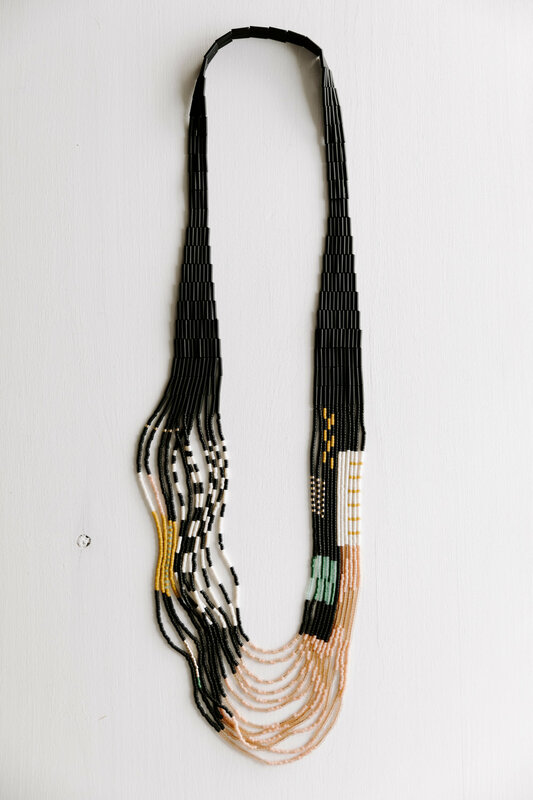 SHE ALSO CONSTRUCTS ABSTRACT COMPONENTS FOR HER WEARABLES USING metals and PORCELAIN CLAY. Madison Has a background in Photography and graphic design as well. At the moment I am working On a custom order basis. Orders are typically fulfilled 1-3 months from date of order placement. If you would like to hear quotes on pricing, Please send image(s) to Rubinskiworks@gmail.com or by using the forum below. All pieces are one of a kind - you may customize items by size, color + PAttern!